Free Pick Up - "GET MY SPECS"
We drill balls for thousands of bowlers worldwide and the biggest question asked everyday by those we do not drill for is how can we drill a ball for them. Emailing us your specs is one way, but many people don't have there specs and others that do are always wondering if the specs given to them are correct. Because of this we offer a FREE pick up program. Simply purchase "GET MY SPECS" (Drill20 promotion not permitted) and then email Chad@BuddiesProShop.com and request a return label for your best fitting ball. We will then email you a return label from UPS so you can send us your ball. After receiving the email from UPS, open the email and print the label, box up the ball and apply the label to the box and take the package to a UPS shipping center or UPS store. It's just that simple. 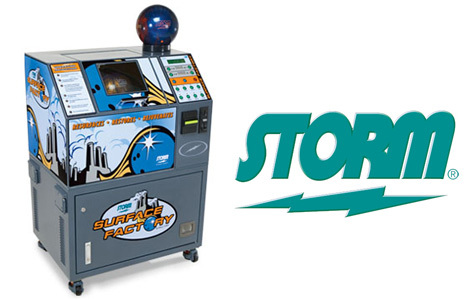 When we receive the ball we will get your measurements, revive ans resurface your ball back to factory finish using our Storm Surface Factory Machines and put new finger grips in if necessary. This is a $50 value free of charge. We will then return your ball with your new ball. *All bowling balls are scribed for span and gripping holes. This provides the most accurate drilling. If you wish for your ball not to be scribed please add that to the "Special Request" of the ball you are having drilled. For those customers who supply us with their specs and those customers whose specs we have on file, we welcome you to use our Drill20 promotion code when in the shopping cart. This promotion code will save you $20 off your desired drilling. For those sending us a ball to get specs, we welcome you to use the Drill20 promotion code after your initial drilling purchase. We cannot accept the Drill20 promotion if a customer would like to take advantage of the FREE pick up program.